Ready for the Complexion Collection? 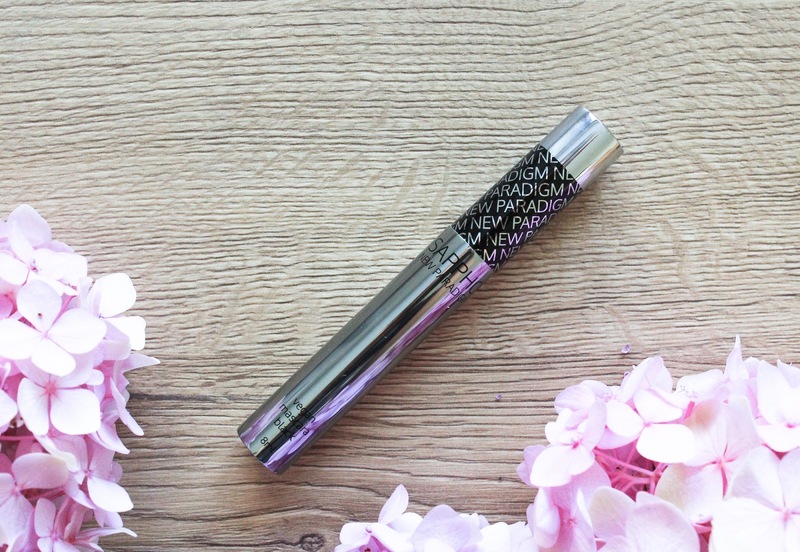 Let me introduce you to the new Beauty Heroes Makeup Discovery*, this time with a new-to-me brand that I've always wanted to try, Sappho New Paradigm. This Canadian brand was founded by JoAnn Fowler, an Emmy nominated makeup artist. 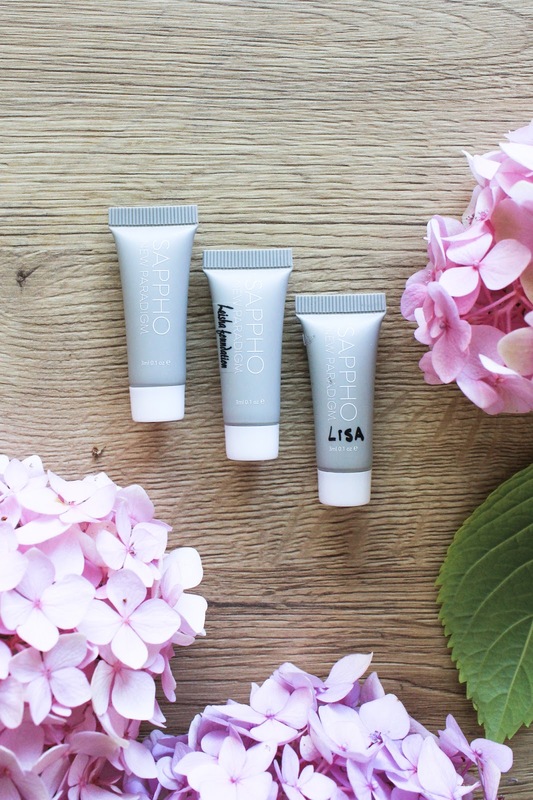 To me Sappho is mostly known for their Essential Foundation and I've always read glowing reviews from fellow bloggers. So when I heard there's going to be samples of this foundation and their CC Cream in this Limited Edition box I was most excited. Not only because of the hype but also because I was just in need of a new base product, after I used up the amazing BB Cream Foundation* by Inika. 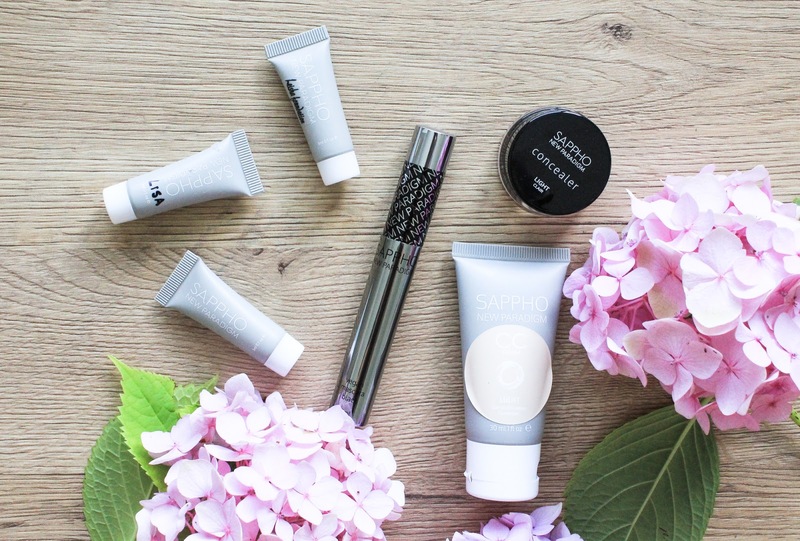 Sappho Limited Edition Makeup Discovery or Complexion Discovery comes with CC Cream + Concealer (you can choose from 5 different shades), Vegan Mascara and 2 or 3 deluxe samples of Essential Foundation. You can choose from 5 different shades: Fair, Light, Medium, Caramel and Dark. Check it out here. This silky CC Cream is made with ingredients like Aloe Vera, Jojoba & Coconut Oils, Pomegranate, Apple, Pineapple and more. It doesn't really have a scent - it is mild and very non invasive. I picked the second lightest shade and it matches me perfectly! The shade Light has a yellow undertone and it really suits my skin tone so well. It looks really dark when it first comes out the tube but it actually isn't that dark. The CC Cream feels very lightweight, it honestly feels like I'm not wearing it and I love that so much, especially when it's so hot outside. It has a light coverage and it just beautifully evens out my tone. It doesn't really cover my acne scars (redness) or freckles, but it just gives a slight tint and like I said, makes the skin more evened out. But don't get me wrong, the coverage is definitely there, it is light but not like so light that you feel like you're not using a foundation. The finish is more on the matte side, it's not dewy or oily looking. My prefered way of applying it is with my fingers. 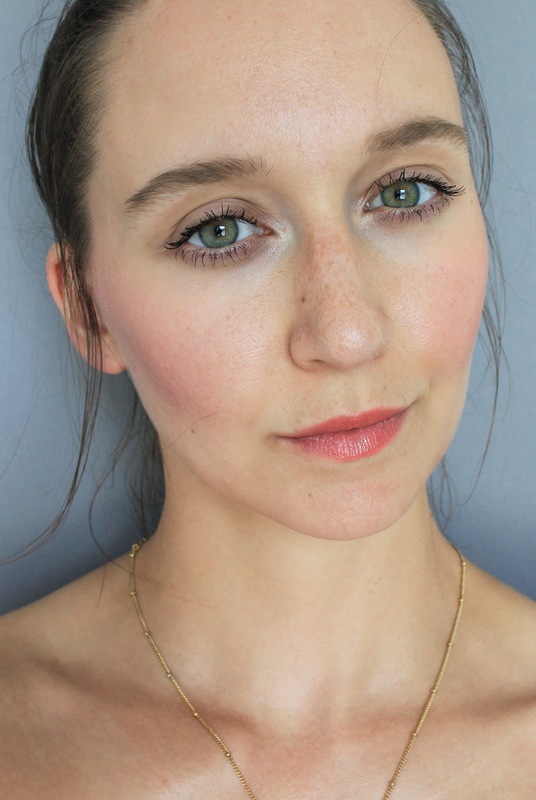 I love the more natural makeup look and this CC Cream gives me just that. It doesn't last all day but since it matches my skin perfectly and has a light coverage I don't really notice if it disappears from my skin a bit. That usually happens around my nose and on my chin. Thankfully it works very well with my beloved Au Naturale Pink Champagne Powder Blush*, which lasts on me all day. To me this CC Cream is so stunning and I pretty much love everything about it (wish it was in a glass bottle, like I always do when it comes to products). 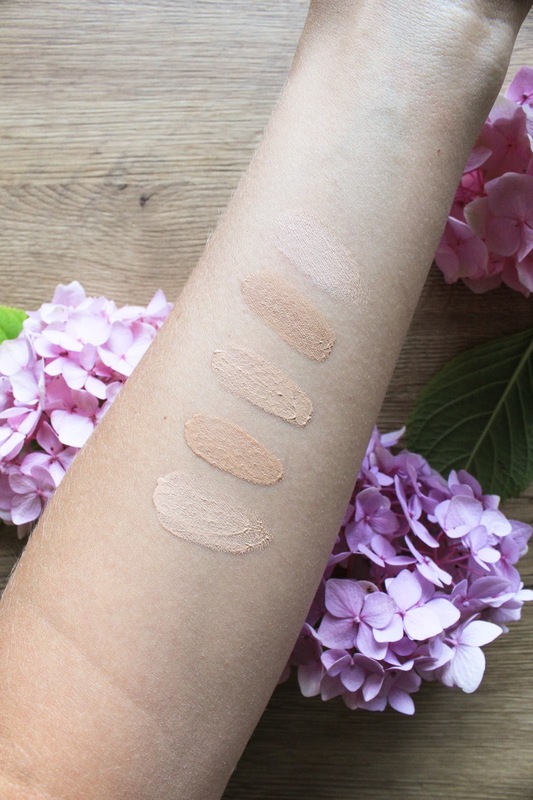 Lightweight, perfect colour match and vegan & cruelty free. Check it out here. 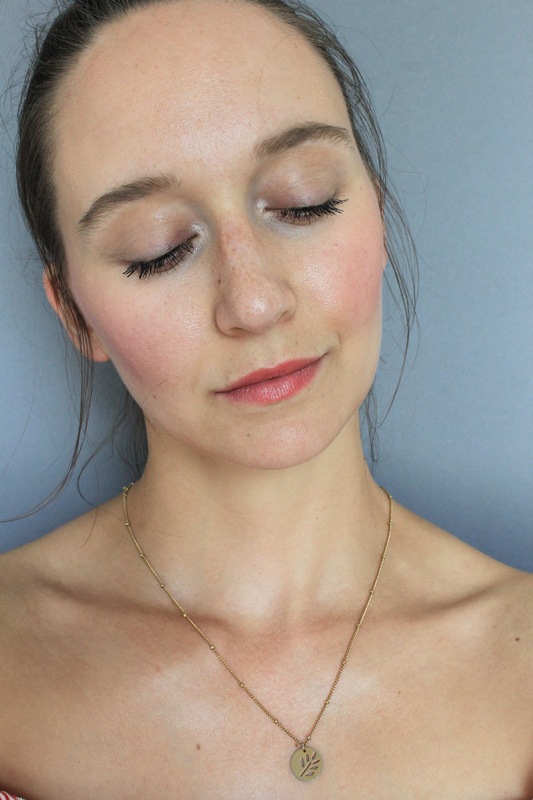 "The hydrating concealer blends in flawlessly for a natural “un-foundation” look, formulated with a base of coconut, jojoba, sunflower and carnauba waxes and infused with line-softening, organic argan oil, anti-inflammatory licorice and soothing chamomile." Concealer is also in the shade Light, which unfortunately isn't the same shade as the CC Cream. 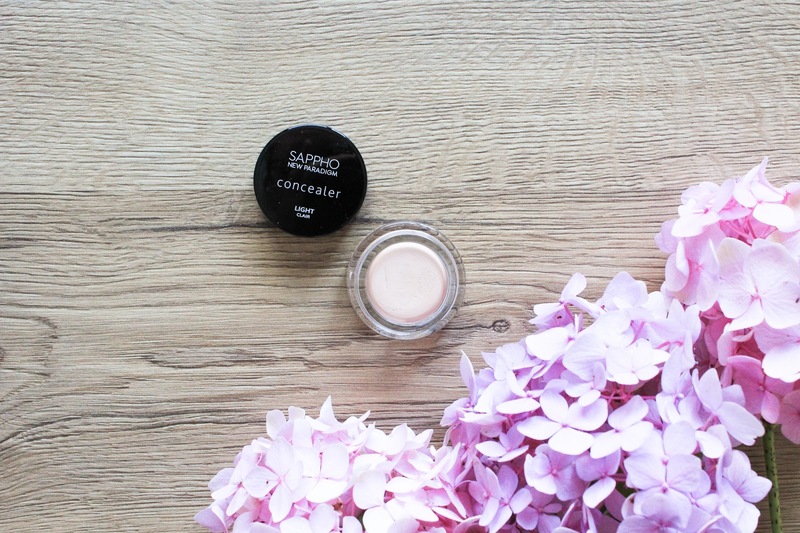 Concealer is much lighter and has more of a pink undertone. For me it's a bit too light at the moment and maybe it will be better in the winter. Which is such a shame because this baby is lovely! It's very pigmented and a little goes a long way. It has quite a powdery texture and it's not oily at all, which means it doesn't budge easily. Since the colour is too light for me I've been only wearing it under my eyes and I do have to say that it makes my face/area under my eyes look brighter. Not mad about that. It also doesn't feel drying but keep in my mind that I always prep my skin with an oil before applying makeup. It lasts really well on me, pretty much the entire day. Sometimes I also apply it on my blemishes but then I always have to go in with the RMS "un" cover-up in 11*. 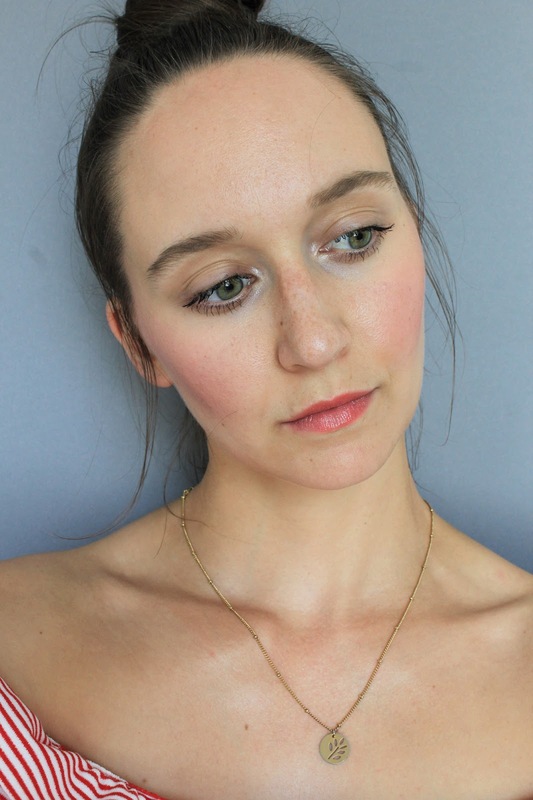 Pigmented, not oily and vegan & CF, like all Sappho products are. Check it out here. 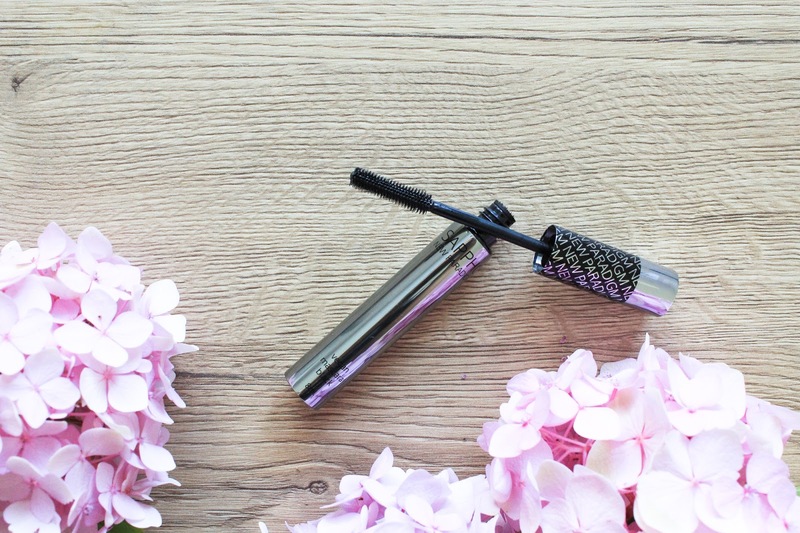 "No lash will be left behind with this paradigm-shifting and smudge-free mascara, 100% vegan and formulated with a nourishing fruit wax base of Bayberry, sustainably harvested palm (Carnauba) and Candelilla." Mascara is a bit of a tricky one because what may work for some, may not work for others. This Vegan Mascara has a plastic wand, which is not something I'm used to and has more of a dry consistency, especially if you for example compare it with Inika's Long Lash Mascara*. To me this mascara works better in theory than it does in reality. Since it does have that kind of a brush it looks like it would coat every single lash but if you want that you have to apply a few layers. I'm used to that since I prefer more layers (three are usually the way to go). 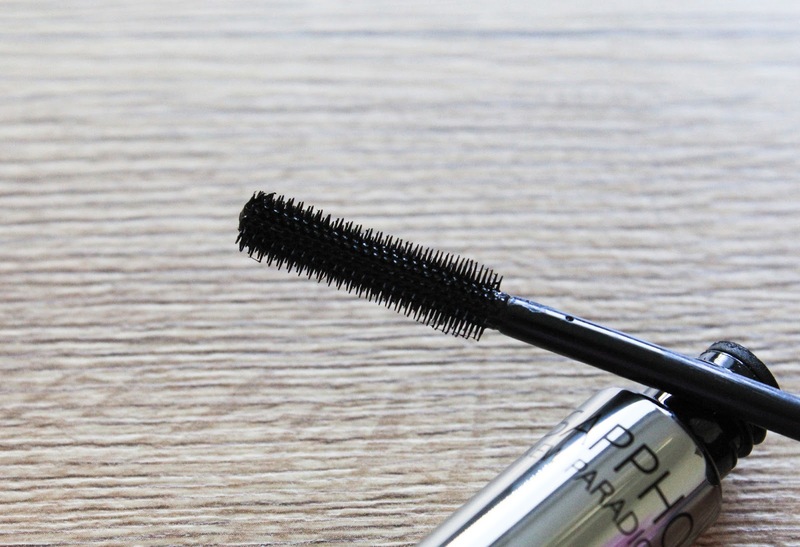 This mascara takes a bit of time to fully dry on the lashes so sneezing is not recommended (that just happened yesterday and it wasn't pretty haha). I like to apply one coat and then wait a little for the next one. I find it works best that way so it has a bit of time to dry and set. I find it more lengthening that volumizing. It gives nice lashes but not amazing lashes. Some days it looks better than others. This mascara can also smudge under my eyes. It is nice and I will continue wearing it but I think I will rather use it in combination with another mascara. Check it out here. In the Complexion Collection (shade Light) are also three deluxe samples of Sappho's Essential Foundation: Leisha, Rachel and Lisa. Even though I've been very intrigued by this foundation I haven't actually tried it yet. I think that Lisa will suit me best. Check out the Essential Foundation here. Sappho Complextion Collection is available for a Limited Time only. It is valued at $124-$134 (depending on how many Essential Foundation Samples are included in your shade selection) and you can get it for $59. Members save an additional 15% on all purchases in the Beauty Store, including this Limited Edition Makeup Discovery. 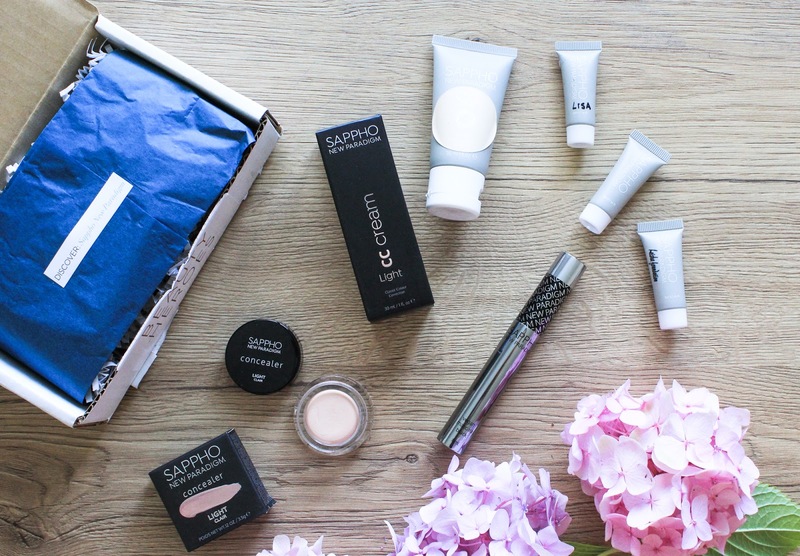 Get the Sappho Limited Edition Makeup Discovery here. ps. selfies were taken after a few hours of me wearing the products and I was out in the hot summer weather.